Most people don’t take managing their money too serious. In fact, it is said that the average person spends more time planning their vacation each year then they do planning for their retirement. If you’re looking to ease into managing your money by the use of budgeting, then you should consider using this plan of ours. You start at the first level and gradually work your way to level three. It starts by using a simple spreadsheet to track your financial transactions and ends by using more advanced methods to analyze your money. If you don’t have a spreadsheet program, we recommend downloading a free suite of Microsoft Office like tools from OpenOffice.org. Without first having your finances organized, there is no way you can create a budget. To organize your finances, start by making a simple spreadsheet that lists all of your checking transactions, along with a category for each expense. The video below from Budget Ways shows how you can easily make this type of checking spreadsheet. We also suggest that you add a page to your spreadsheet that lists all of your monthly bills and when they are due. Try to organize the list into one or two sets of bills to pay each month. Usually, bills are due near the end of the month, but some are due at other times. This can help you stay organized by making bill paying a habit. It will also keep you from missing any bills that get lost or misplaced. Once you’ve completed level one, it’s time to get a little more advanced. The next step is to organize all of your financial data into a budget. There are hundreds of free budget templates available for download, or you can make a budget template from scratch. The video below shows how to make one from scratch. The volume is a little low on the video, so you’ll need to turn up your speakers before you watch it. Making your own spreadsheet budget is the best way for beginners to get started. That’s because it allows you to focus on your money, rather than learning how to use budgeting software. Budgeting software tries to automate so much of the budgeting process that it makes it hard to actually pay attention to your individual transactions. Remember, a budget can be anything you want it to be. You could put all of your spending into two categories, or two hundred, it’s up to you. Also, you could create a projected budget and compare it to your actual, or you can make one that shows the changes for each month. After several weeks or months of working with your spreadsheet budgets, you may want to step up to level three. Level three happens when you start to utilize advanced budgeting software to help you manage your money. The most popular software of this type are Quicken, Mint and MS Money. These programs all allow you to download your transactions directly from your banks, credit cards, and investment accounts. 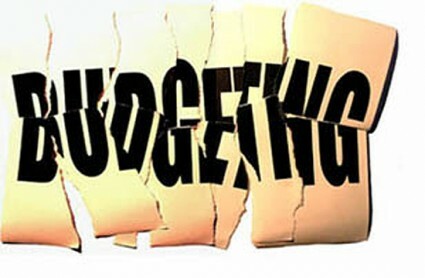 They then try to automatically assign the expenses to budget categories. While this works well sometimes, I’ve found that you’ll need to spend a lot of time reclassifying and setting the programs up so that future transactions will be classified properly. Also, using these programs takes quite a learning curve. Instead of focusing on managing your money, you’ll need to focus on how to use the program and how to get your transactions into the software. According to many, there are also a lot of bugs in these softwares. I use Quicken and I am still confused as to how to use some of the functions. However, once you get it set up and working, things should start running pretty smoothly. At that point, you can easily use the software to create pie charts of your spending, monthly variance analyses, as well as many other advanced ways to get more insight into your money. Do you have a favorite budget software or technique? Please share it with us by adding a comment.